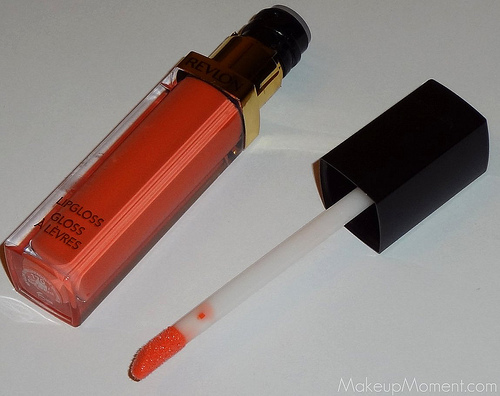 Revlon's Super Lustrous Lip Gloss in Coral Reef ($5.94) has been on my beauty radar for a long time. I think I strayed from purchasing it because I have been limiting myself from purchasing any more lip gloss for awhile. I have quite a few glosses in my makeup stash, and I at least want to try and use up what I have before I go on, and purchase more. But, as soon as I saw Coral Reef at Wal-Mart, I just couldn't help it-I gave in. What can I say? This makeup obsession is deep. Ha! Keep reading to see if coral reef lived up to my expectations. Coral Reef is a really gorgeous coral color. I really like the packaging. It looks very sleek, and feels sturdy. The applicator is of the slanted, sponge tip kind. I am not too keen about sponge tip applicators. I actually prefer brush tips instead. I find the brush tip applicators to distribute and spread the lip product easier, and more evenly. That is just my preference, though. But it's not such a huge deal-breaker for me. 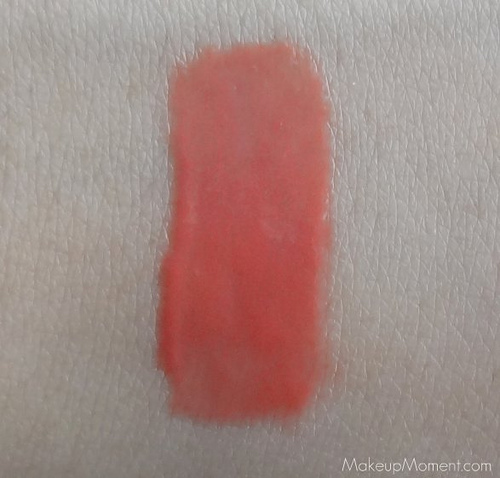 Coral Reef may look a bit scary in the tube, especially for those who like glosses that provide just a hint of color-not quite sheer, but not overly pigmented either. In my opinion this color is definitely wearable, especially for daytime. As you can see in the lip swatch picture below, the finish is super shiny, which I really love. I also want to mention that this lip gloss contains an SPF of 15. I just love when lip products contain some sort of SPF in them. It is just as important to protect our lips from the rays of the sun, as we do our face and body. Coral Reef and I, had a few issues, though. I made the mistake of over applying numerous coats of this gloss and going back for more product. 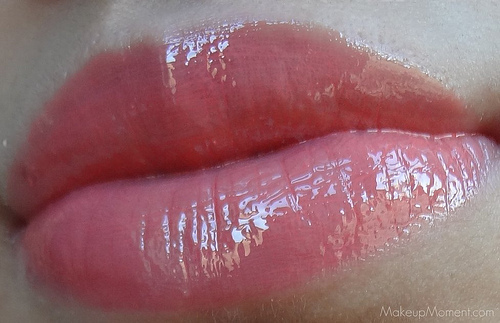 When I did that, the gloss looked so gloppy and thick on my lips. It looked so uneven and patchy. It was not a pretty look. This gloss does have a semi-thick, creamy consistency so I should have known that it wasn't going to layer easily like thin gloss formulas do. So, the moral? A little goes a long way. Another thing I am not very fond of is the sweet fragrance. I usually am not picky when it comes to fragrances, but this one was too sic-kingly sweet-even for me. Luckily, the scent does not linger for long on my lips and it dissipates quick. The formula does not feel heavy on my lips, and definitely not sticky, either. Lasting power wasn't too bad. The gloss faded on the 4 hour mark, but it did not fade unevenly. I did notice that when faded, my lips had a pretty soft, coral tint left over, which was a nice surprise. 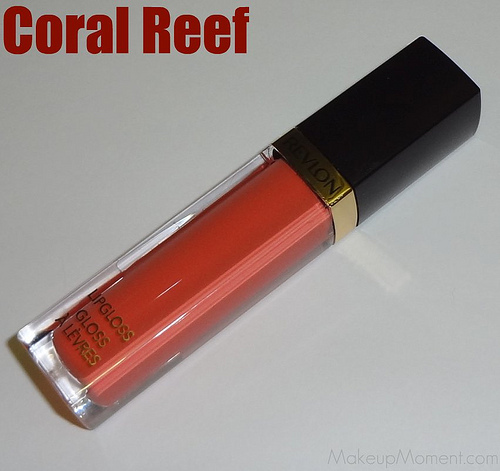 Overall, I am glad that I picked up Coral Reef, and I am definitely going to check out more shades in Revlon's Super Lustrous lip gloss line in the future. What do you all think of Coral Reef? Any other shades in the Super Lustrous lip gloss line that you recommend me to try? I love Coral Reef my favorite of all of them!